As President of Monifieth Local History Society on their behalf, I wish to thank all those who over the past fourteen and a half years supported our community project Monifieth House of Memories. Volunteer members of our organisation managed and financed the project, with support from the community and Angus Council, and were custodians of property for public display within Monifieth at their request. The project over the years flourished, and other varied services were provided by the volunteers free of charge, in particular our website, which encouraged people locally, nationally and internationally to visit. Varied circumstances caused the closure of the House of Memories to the public in late summer, however we were successful with our application for an Angus Council Community Asset Transfer Lease of the former Angus Council Access / Police Office, 83 High Street, Monifieth. The property has disabled facilities, parking and spacious accommodation to enhance the services our organisation provide. A planned Monifieth Community Heritage Centre could become a reality, we have the key, and have been offered the lease of a most suitable and appropriate building. Hundreds signed up offers of support, and now need those individuals to make a commitment to assist in managing and financing the ambitious project. 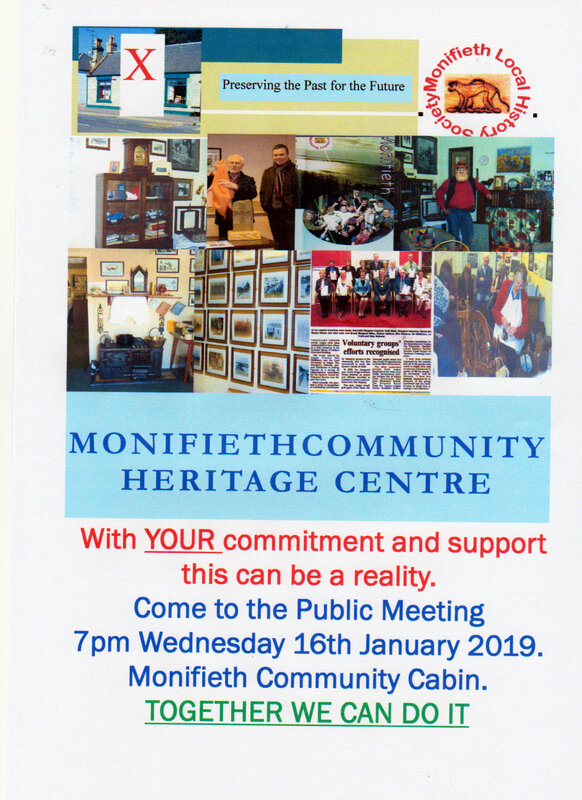 In order that those who are interested in `something new for Monifieth`, we will hold a public meeting at 7pm on Wednesday , 16th January, 2019, for questions , answers, discussion and recruitment of members and supporters. Make it your New Year resolution to be there and have your say. will be the new address. However, from now until February we will just be transferring our collection. The main moving date is Thursday 6th December so if you are free come along at 9am and give a hand. 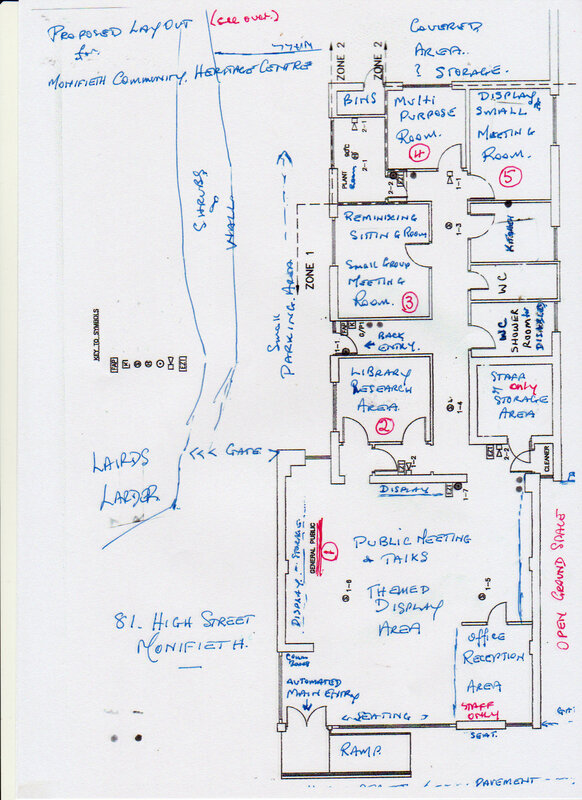 This time will be used negotiating the lease etc..
Hope you can see what we have in the sketch below.